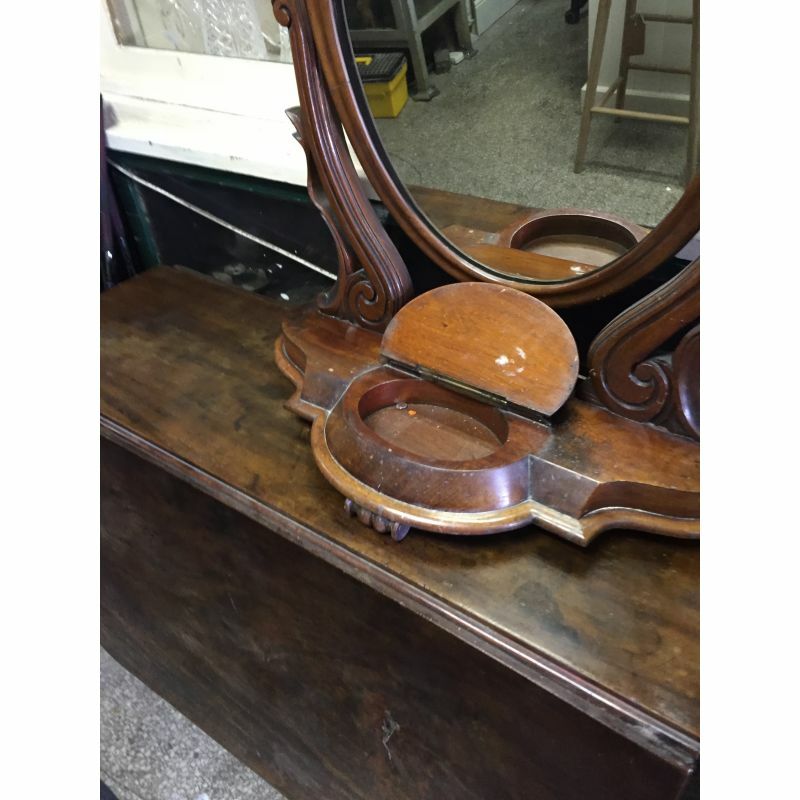 Antique Victorian Mahogany Dressing / Toilet Mirror and dating from around 1880. 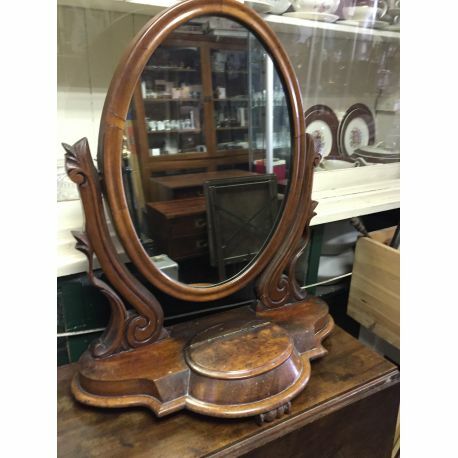 This Quality mahogany piece has an oval mirror set within a mahogany frame supported on carved swan neck stanchions on a serpentine platform base on carved feet. To the Centre there is a raised lid which opens for storage. Measures: 28" high x 12" deep at base x 26" wide at base. 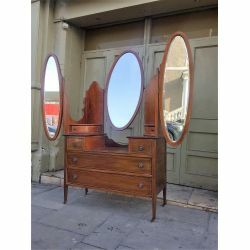 Antique Victorian Mahogany Toilet Mirror and dating from around 1880. 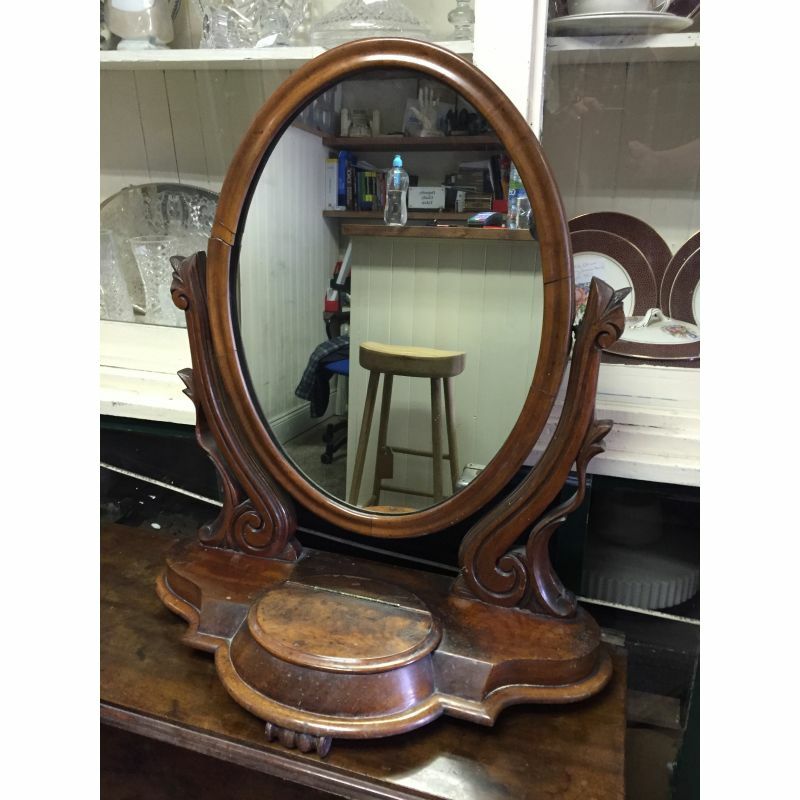 This Quality mahogany piece has an oval mirror set within a mahogany frame supported on carved swan neck stanchions on a serpentine platform base on carved feet. To the Centre there is a raised lid which opens for storage.